Mayor Michael Nutter addresses the press following Pope Francis' visit to the city for the World Meeting of Families. Former Mayor Michael Nutter is moving to the classroom after serving eight years in City Hall. Nutter will serve as an urban policy professor at Columbia University's School of International and Public Affairs during the spring semester. His daughter, Olivia, is a student at Columbia. 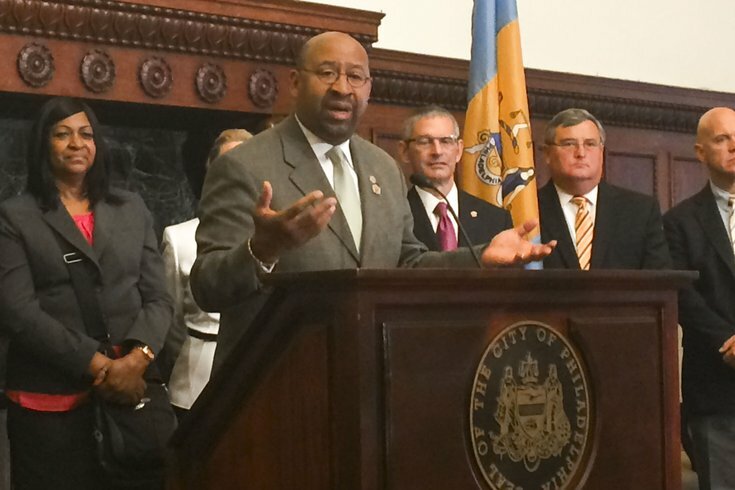 Nutter, a graduate of the University of Pennsylvania's Wharton School, drew praise for raising Philadelphia's global stature by overseeing the papal visit and landing the 2016 Democratic National Convention. He also guided the city through a recession and improved governmental transparency. But the city's education system remains a mess. During his mayoral tenure, Nutter was named one of Governing magazine's Public Officials of the Year (2014) and one of Esquire magazine's Americans of the Year (2011). He served as president of the U.S. Conference of Mayors from 2012 to 2013. Earlier this month, Nutter was named to the U.S. Department of Homeland Security's advisory council, a 40-member voluntary board that advises Secretary Jeh Johnson on various homeland security matters. Nutter said in a statement that he is "deeply honored" to have been asked by Columbia University to serve as a professor.